Navelina is the first of our organic oranges that ripens and you can usually buy it from the beginning of November until the end of January. When you get used to consuming organic fruit and vegetables in season, the body asks you to eat oranges or make juice just when this orange ripens. They are the earliest and arrive just in time! The taste is incredible thanks to its sweetness, in fact we could say that it is the tastiest of our oranges. In addition, its skin is thin, which makes it easier to peel it. It also has a lot of juice, which makes it fantastic both to eat and to make orange juice with it. 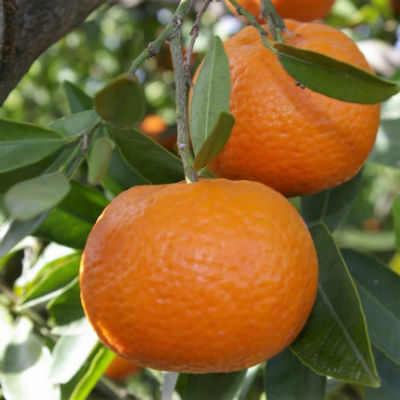 Navelina is considered by many professionals the best orange in the world. This orange is from the “navel” family. This name is due to a natural mutation happened in 1820 that made him develop a second orange in his interior, being observed in the outside a “navel” (navel in English). Its fantastic flavor, the large amount of juice it produces and its easy to peel skin, caused its cultivation and commercialization to spread rapidly. Of course this fantastic orange had to be in our offer. 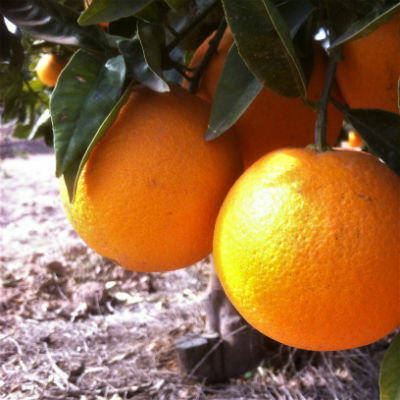 Lane Late is one of the latest oranges we have, you can buy this orange from the end of January until the end of April. This orange is a fighter, because it holds on the tree all the cold nights of winter and is ready just when the Navelina ends. Its flavor is also fantastic, especially if you prefer the level of sweetness / acidity more balanced. Like all our organic citrus fruits, it also has a very good amount of juice. The skin is thin and has no seeds, which is very good for both, eating and making juice with it. This orange is from the family of the “Lane”, which emerged from a natural mutation in 1950. It began to be grown due to the date of its harvest and is grown more than others of his family due to its organoleptic and physical properties. 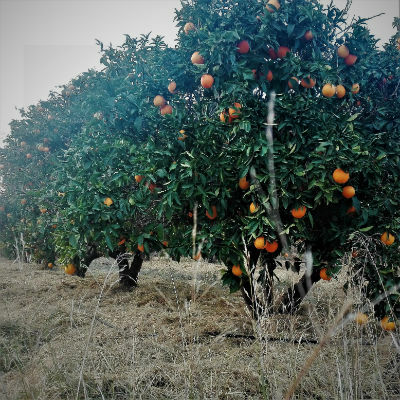 The truth is that this organic orange is very important in our online organic food store, because it let us cover almost all the citrus season with a best quality organic fruits. Again we offer another very tasty orange, easy to peel and with a large amount of juice, but hey, its main advantage is the date of harvest. Clemenules is the queen of our mandarins. If you want to buy organic mandarins, this is undoubtedly the best option. Its flavor is fantastic, it is easy to peel, it has no seeds and it has a large amount of juice. In fact, few people do, but the juice of our organic mandarins is a delight and happens as with the orange, the flavor surprises when squeezed. You can buy this mandarin from mid-November to mid-January approximately. 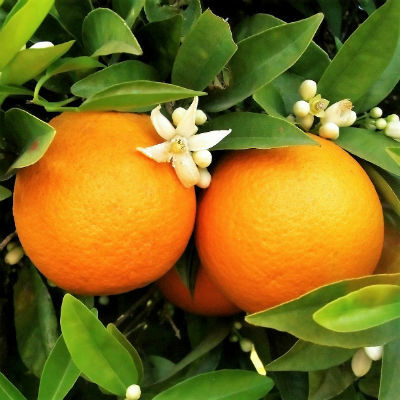 The Clemenules variety comes from the “Clementinas” family and this particular variety appeared spontaneously in a village near Valencia around 1953. As expected, a variety with such good peculiarities soon became popular, especially in Valencia. 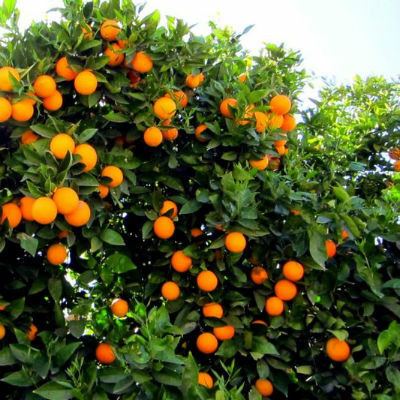 One of the disadvantages of the Clemenules is to grow it, because it is a very demanding tree in terms of nutrition and sensitive to pests and diseases, in addition the size of the tree is usually less than orange trees, which has more herbs competing with it and as we do not use herbicides, supposes a cost of production higher than orange. All these factors influence the production and of course the price. Fortunately, we have trees for 18 years and we know each other very well. Although our productions are not very high, we have managed to keep them healthy and strong and it compensates us. 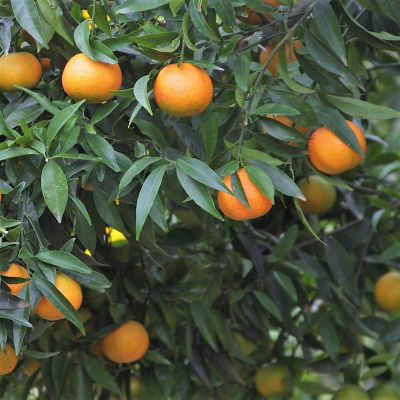 We are very proud of our organic mandarin, because its cultivation is complicated, but the fruit we obtain is unbeatable.